Hot soak first guys before cutting. About 30 degrees or more? As hot as you like Tom, I straight hot soaked mine lost about 0.5" in the leg, that was it. I just received mine and I'm super happy with them. 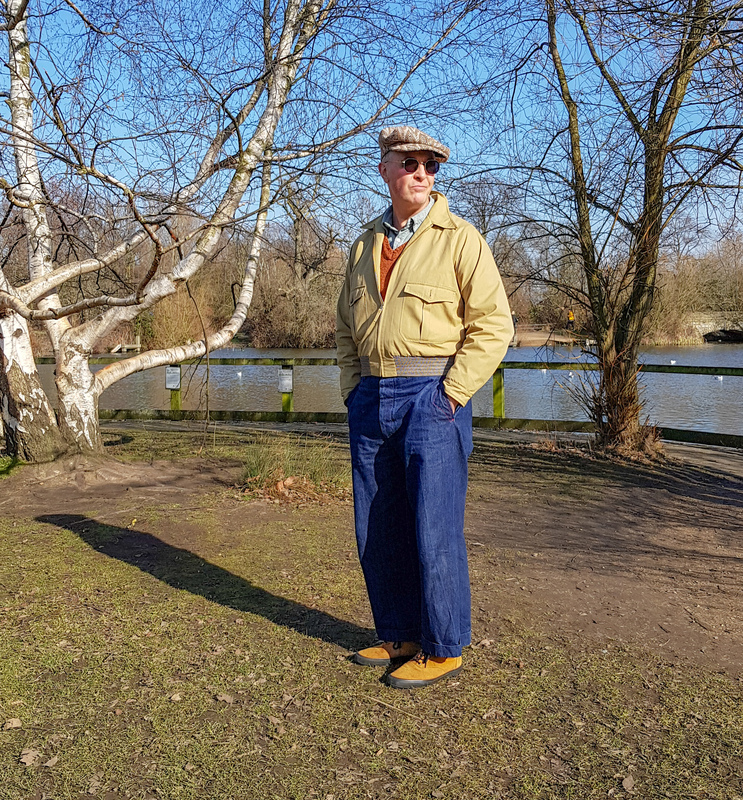 They'll be my daily trousers until midsummer hits. The denim, although sanforised, retains in fact the deep indigo colour of raw denim as seen in the product shots on the shop. The fit pics with the cuffs hemmed look to me as if they've been washed right away then hemmed, thus revealing a bit more of the lighter weft, making them appear lighter in tone. I'll wear mine unwashed for as long as possible, for the next months anyway. 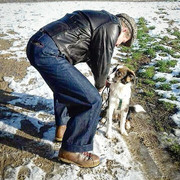 The tighter denim is woven, the less it will catch dirt and skin, with less frequent washing required. Can't wait to see them on you buddy. 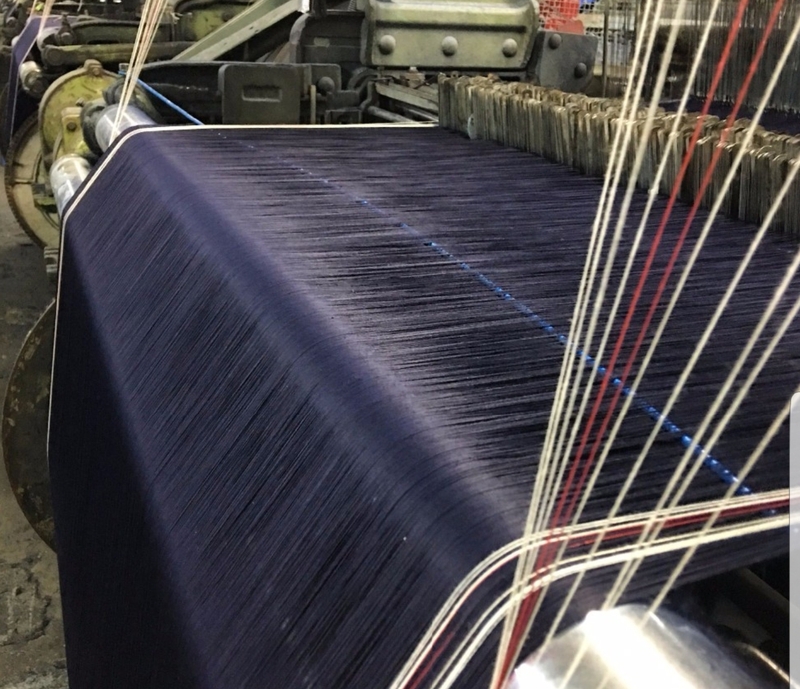 The mill uses vintage shuttle looms, recycled from Japan, prior to that USA, among other yarns they use Zimbabwean long strand cotton and all natural indigo to dye them. 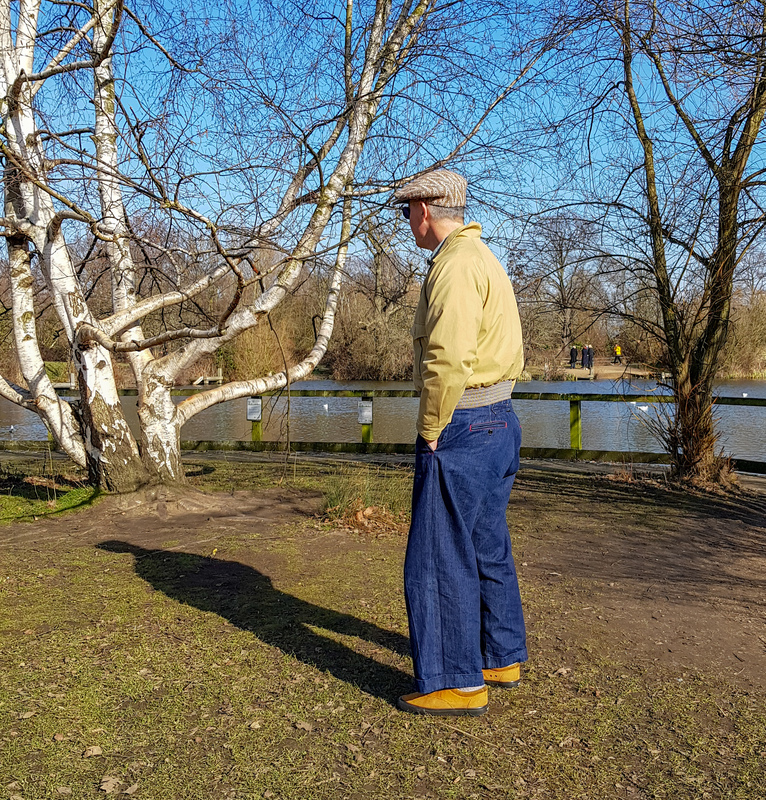 *The summer weight denim is by the same firm and really is a very nice blend of 25% linen and cotton, it comes in at comfortable 12oz and a nice '20s green selvedge. The other option of course besides washing away the much prized indigo is dry cleaning. The weave of the Big Bs does look tight, really nice. I'll shoot them soon and will shoot the progress of fading over the coming months. (01-21-2019, 07:58 PM)SJC Wrote: Can't wait to see them on you buddy. 12oz Summer weight sounds good. Look forward to seeing that. Another shot of the BigB's in the wild.